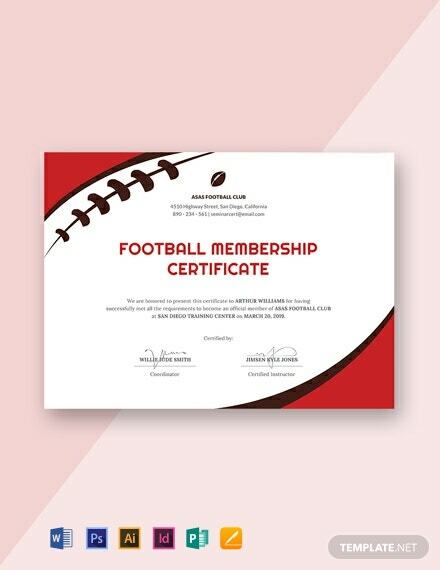 Welcome the newest members of your organization with an official membership certificate that makes their joining to your organization formal and official. 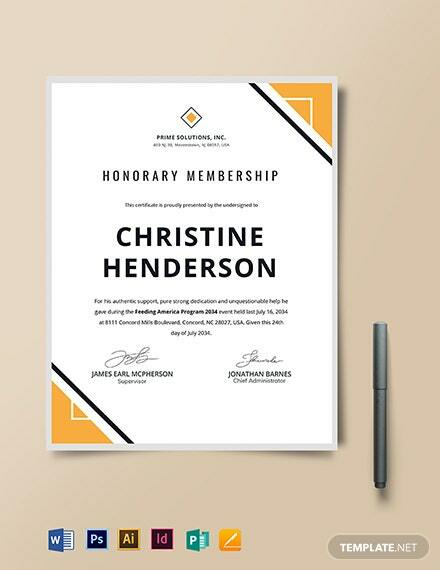 Having new and full-fledged members of your organization can open new possibilities for your organization, it is important that they be given a physical document that is signed by the head members. 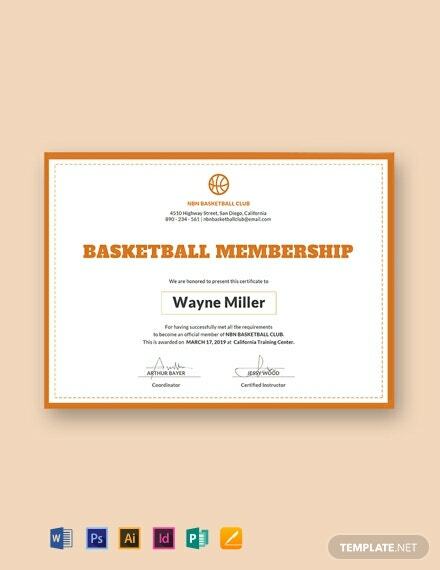 As for the design, choose for one of our premium certificate of membership templates that are free to download. These files are ready-made and professionally designed. They are fully customizable and use high-quality layout, artwork, images, and graphic files. Print ready and can be shared digitally. Save these templates at your PC or mobile. Easily Editable in all versions of Adobe Photoshop (psd), Illustrator (.ai), Indesign, Microsoft Word (.doc), Excel (.xls), Publisher, Apple Pages, Mac & Google Docs. In companies and organizations, memberships will help you create a connection with your audience or customers, which is why it is a good marketing strategy. It also creates a sense of exclusivity that makes customers feel special, and therefore push them to want to be part of the company. 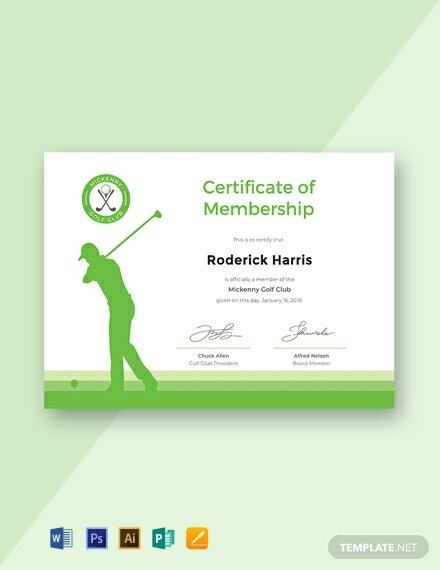 Memberships also tend to use company standards efficiently, in cost-effective and inspiring ways to help sell more of their business to customers. Most companies and organizations tend to set practical benefits that will lead their member participation to be more proactive and committed to the company. In contrast, non-members can’t benefit from exclusive membership perks, which encourages them to enlist membership. The more perks there are to a company membership, the more likely it will be that people will respond positively to them. 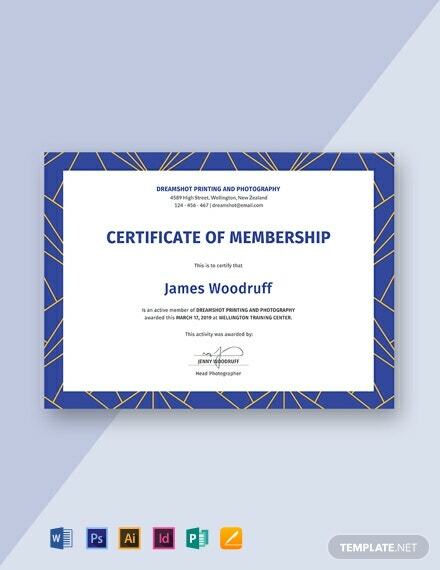 Whether your business caters to retail selling, learning and education, clubs or even as job-recruitment agencies, you can take advantage of memberships. 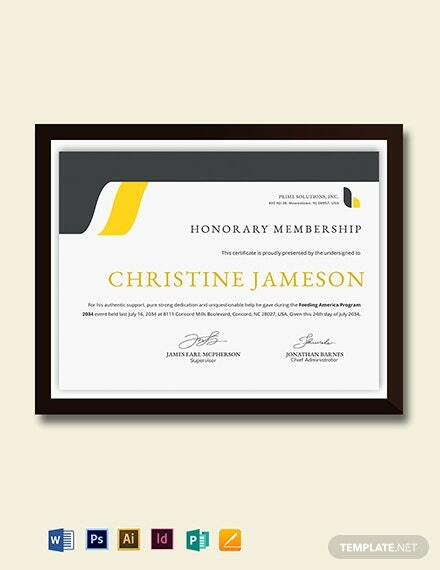 Certificates can be useful in showing your members some appreciation, and will serve as proof of their association with your company. 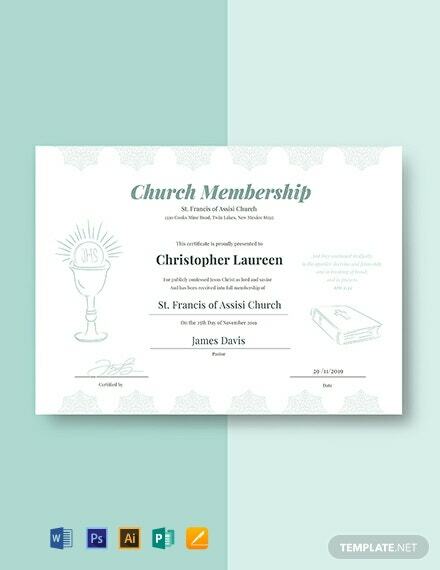 These certificate don’t have to be flashy, and are actually very easy to make. They are also very cost effective. 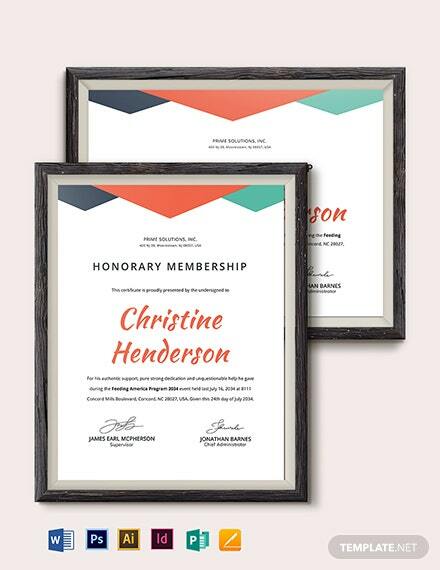 In fact, most certificates can be printed on the home or office computer, especially if there is no need to mass produce them. Despite low costs though, the recognition that comes attached to what they represent will mean a lot to the individuals to whom they are usually presented to. 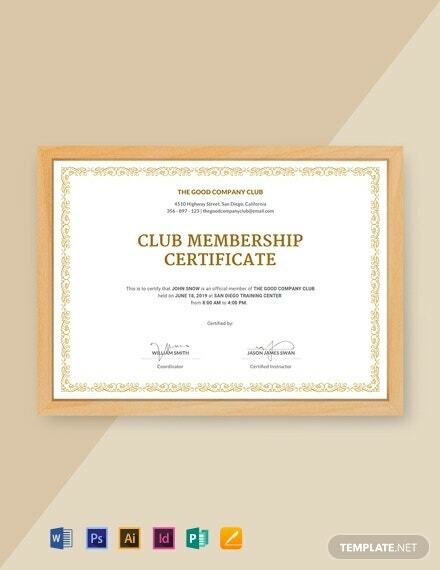 Membership certificates are made to be creative and unique to every company or organization. 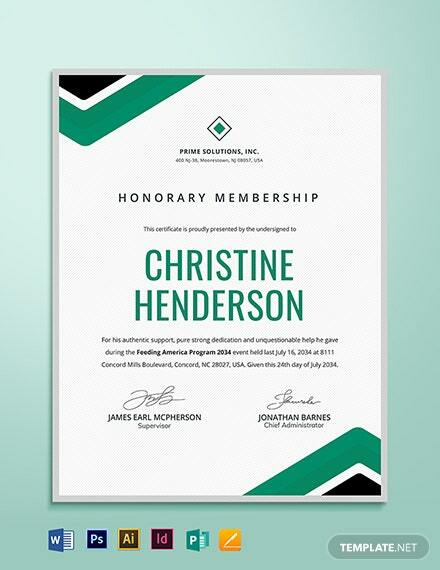 Each are made to be distinct, but they do all have certain information in common, such as a distinguished emblem or logo of the company, indication of the membership, and an official statement. 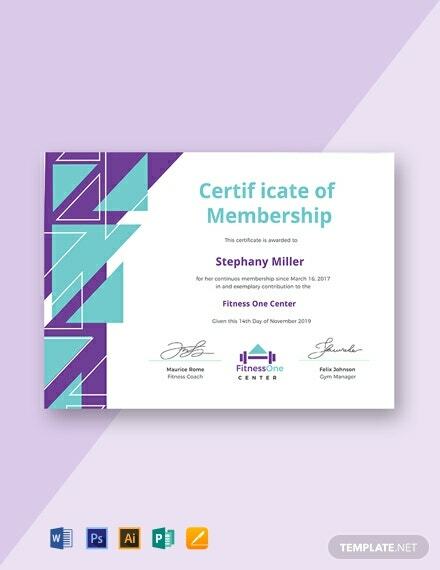 It can be overwhelming to create your own certificate without the help of professional designers, which is why ready made templates can help you get a start with your own premium design. Template.net offers a wide variety of templates for use, each of which is made to be downloadable in different file formats to ensure compatibility with your own OS.